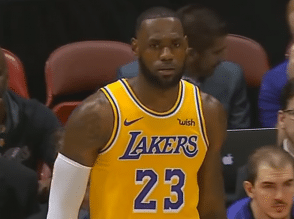 It was the blockbuster move of the NBA’s offseason when the game’s King, LeBron James, packed his bags and moved from Cleveland to the Los Angeles Lakers. Lebron James immediately changes the path of one of the most storied franchises in all of the professional sports. The Lakers have been shut out of the postseason the last five years in a row and haven’t been relevant since the days of Kobe Bryant. While James will undoubtedly make an instant impact, his arrival in the big city doesn’t guarantee an NBA title anytime soon. Lebron James makes the move from the Eastern Conference to the much stronger Western Conference. In Cleveland, last season, Lebron James and the Cavaliers made the NBA Finals after winning just 50 games in the regular season. The point here is that playing 42 regular season games in the West is much tougher than it is in the East. Don’t expect an instant miracle like 50 wins and a spot in the NBA Finals right away. The recipe for success with a player of Lebron James ability is simple. Surround him with shooters. 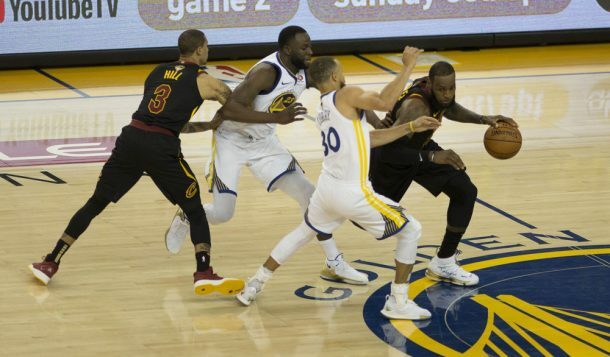 When Lebron James can’t find an open shot or takes the ball to the basket, the better the shooters that surround him, the better the outcome. A perfect example is the Cavs acquisition of Kyle Korver, an excellent 3-point shooter who was key in the Cavs’ last two trips to the NBA Finals. So, what do the Lakers do? Los Angeles went out and signed Lance Stephenson, a 6-foot-6-inch shooting guard who has eight years of experience in the league. The problem with the acquisition is that Stephenson hasn’t been a starter in the NBA since the 2013-14 season and he owns the absolute worst 3-point shooting season, regarding percentage, in the history of the league. In 2014-15, Stephenson shot 17.1 percent from 3-point range. That doesn’t sound like the kind of shooter that James needs around him. Stephenson was not the only Laker addition. The club went out and signed point guard Rajon Rondo. A 12-year NBA veteran, Rondo is the antithesis of the recipe for James. Rondo is a non-shooter who has made a career out of dribble penetration and the dish. Rondo has averaged 10.5 points, 8.5 assists, and 4.8 rebounds per game over his career. While still a solid pickup, Rondo is not the “shooter”-type the Lakers need around their newfound star. The Lakers did add big man JaVale McGee and Michael Beasley, a guy who has averaged less than two 3-pointers a game in his career. It is possible the franchise will go out and acquire a star in the next offseason cycle. Kawhi Leonard, now in Toronto, and Portland’s Damian Lillard have been mentioned as possible targets. Again, those looking for instant gratification are not going to find it in purple and gold anytime soon. The Lakers are full of young talent including returning leading scorers Brandon Ingram and Kyle Kuzma both of whom averaged 16.1 points per game last season. There is also last year’s first-round draft pick Lonzo Ball who has battled some injuries but still managed to start 50 games last year and average 10.2 points, 7.2 assists, and 6.9 rebounds a game. There is some experience in guard Kentavious Caldwell-Pope as well as James, Rondo, Stephenson, and Beasley. The roster lacks another proven star compared to other rosters around the league. The model for success was started in Golden State with the Big Three, which ultimately has now become the Big Five with the Warriors offseason acquisition of DeMarcus Cousins. Houston has James Harden and Chris Paul. Boston is putting the pieces together with Kyrie Irving, Gordon Hayward, and would-be stars Jaylen Brown and Jayson Tatum. The Lakers are close to acquiring the necessary pieces, but they are not there yet. Somewhere near the midpoint of this coming NBA season, Lebron James will turn 34 years of age. He is in tremendous physical shape and doesn’t appear headed for a decline just yet. Still, even James cannot defeat Father Time. He is a career 27.2 points-per-game shooter who averaged 27.5 a game last season. His postseason numbers last season were the second-best of his career as he scored 34.0 points per game indicating he is not regressing at this point in his career. At some time though, James’ production is going to drop. It has happened to all the greats. Michael Jordan played at a high level right up through his age-35 season. He averaged 28.7 points per game and led Chicago to a sixth NBA title in 1998. Jordan did return to the league briefly in 2001-02 and 2002-03. He was still a good player nearing 40, but he wasn’t the same guy who could take over games. The same can be said for 14-time All-Star and Hall of Famer Karl Malone. The Mailman turned 35 in 1998, the last season in which Malone averaged over 25 points per game. His numbers continued to drop until his eventual retirement from the game at age 41. Like Malone, James appears to have a few more years of playing at an elite, master-of-the-universe-type level, but if a Lakers championship doesn’t happen in those next few years it could be another decade before the franchise brings home an NBA title. A Lakers NBA title can happen, but it isn’t likely in 2018-19. James’ contract puts him in Los Angeles for the next four seasons. Next year, the Lakers will finally get rid of Luol Deng’s ridiculous contract that would pay him $18.8 million. Lakers president of basketball operations Magic Johnson will have the salary cap room to go out and lure one of several free agents to L.A. next offseason. The free agent list is long and loaded. In addition to Leonard and Lillard, Golden State’s Kevin Durant and Klay Thompson will both become unrestricted free agents. Don’t forget James’ former teammate Irving and Minnesota’s Jimmy Butler, who has mentioned Los Angeles as a potential landing spot. Regardless of who, Johnson and the Lakers front office are going to have to add at least one superstar to the mix if the Lakers are going to challenge Golden State and Houston for Western Conference supremacy. While not this season, the Lakers’ run to NBA riches is possible. It will take just take time.